Many commentators identify the rider on the white horse (Rev 6: 1) with Jesus Christ because of Rev 19: 11-16. The only reason for this connection is based on the characteristic of a white horse and probably the phrase “conqueror bent on conquest”. But a microscopic reading of the texts reveals significant differences between the two. The identity of the horseman in 19: 11-16 is obvious because some of HIs characteristics are familiar with us in the book of Revelation. Jesus Christ is fully revealed in the book of Revelation: It’s worth to recall that the book of Revelation is a revelation of Jesus. Hence, He is not buried in obscurity in its pages. Wherever Jesus Christ appears, John gives a vivid description to help us quickly identify Jesus; either by His attributes or titles. For example, in Rev 12: 5, Jesus Christ is identified “to rule all nations with an iron scepter…caught up unto God, and to His throne” (cf. Rev 3: 21; 19: 15). John does not confound the extraordinary identity of Christ with the several characters in the entire book. 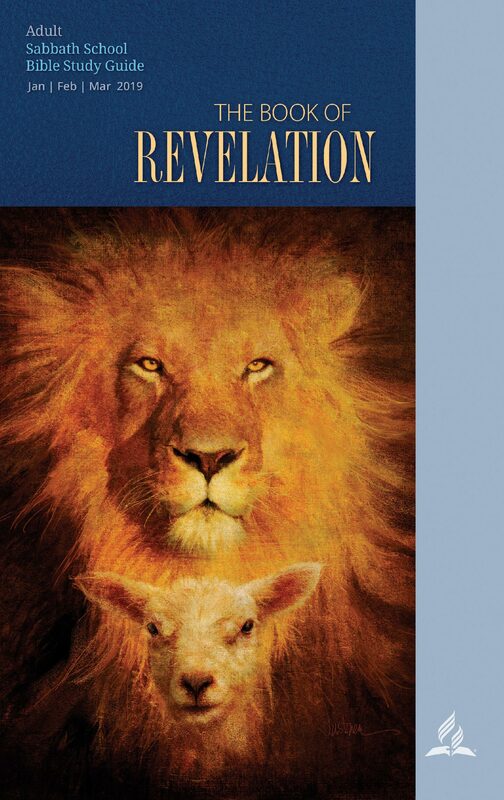 This should give us a mental viewpoint anytime we open the book of Revelation. The horseman in Rev 19: 11-16: He is identified as the “Faithful and True” (cf. 1: 5; 3: 14), “He judges and wages war in righteousness” (cf. Is 11: 4, 5), “His eyes are like blazing fire” (cf. 1: 14), “on His head are many crowns” (Greek διάδημα diádēma=kingly crown) (19: 12), “robe dipped in blood” (cf. Is 63), “His name is the Word of God” (cf. Jn 1: 1-3, 14), “the armies of heaven were following him,” “out of his mouth is a sharp sword” (cf. 1: 16; 2: 12, 16), “He will rule them with an iron scepter” (cf. 12: 5; Ps 2: 9), “He treads the winepress of the fury of the wrath of God Almighty” (cf. Is 63), and “On his robe and on his thigh he has this name written: King of kings and Lord of lords” (an allusion to the many crowns (diádēma)). The horseman in Rev 6: 2: “I looked, and there before me was a white horse! Its rider held a bow, and he was given a crown, and he rode out as a conqueror bent on conquest.” First, this horseman is not identified, no name, and attribute unlike the horseman in chapter 19. Second, his weapon is only a bow (no arrows mentioned), unlike Christ whose weapon is a two-edged sword and an iron scepter. Third, this horseman “was given a crown” (στέφανος stefanos=a prize for successful accomplishment). The idea of being given a crown means the horseman is acting under orders, unlike Jesus Christ who already had His kingly crowns. Fourth, the conquest of the horseman in 6: 2 is not qualified as righteousness, unlike Christ who wages war in righteousness. Fifth, as a final contrast, the horseman in 6: 2 is followed by other horsemen carrying death, famine, and plagues, unlike Christ who is followed by the armies of heaven riding on white horses. The vision of the horseman on a white horse in 6: 2 is not enough to conclude that it is Jesus Christ. There are many horse riders on white horses in the book of Revelation (19: 14). The striking differences between the two horsemen are huge to confound one with the other. Next Why are the FOUR living creatures identified with the FOUR horsemen?